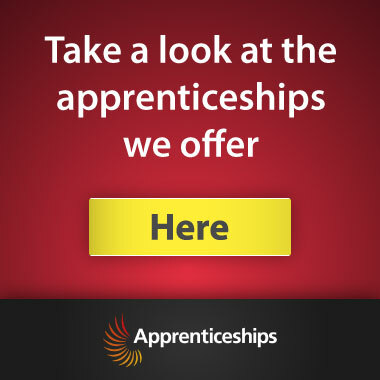 Employers: Why invest in apprenticeship training? Are you looking for enthusiastic and talented people that you can shape and develop to help drive your business forward? If so, hiring an apprentice may be the solution! Over 130,000 businesses across the UK are now training apprentices; recognising their effectiveness at increasing productivity, improving performance and building a committed and skilled workforce. Apprenticeships are not just for people new to a job! They can be undertaken by existing members of staff to upskill or retrain; providing an effective way to nurture and develop employees with the skills and knowledge to help your business grow and stand out from the competition. Did you know that certain areas may have additional funding grants available? If you are a business with under 249 employees and take on an apprentice aged under 24 you could be eligible to receive the AGE (apprenticeship grant for employers) offer. For further information and to check if you might be eligible please do give our dedicated Funding Team a call on 01480 422060. In May 2017 the way that apprenticeships are funded changed! From May 2017 apprentices no longer have to be working for a minimum of 30 hours per week! 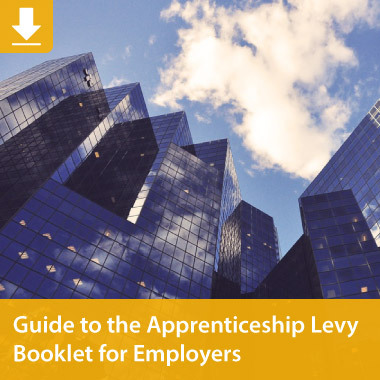 From May 2017 those with a level 4 (or above) qualification are now able to undertake an apprenticeship as long as their existing qualification is in an unrelated subject. From May 2017 any employer taking on a new apprentice under 19 years of age will receive a £1,000 incentive! Recruit for free! The College can help you to recruit a new apprentice free of charge. Why choose The College of Animal Welfare as a training provider? From 1 May 2017, to deliver apprenticeship training, training providers must be on the Register of Apprenticeship Training Providers (RoATP). All providers on the RoATP have been through a thorough application process with the Education and Skills Funding Agency that assessed their capability to deliver high-quality apprenticeship training – not all organisations who were previously delivering apprenticeships were successful in joining the RoATP. We are delighted that The College of Animal Welfare was successful. The current national minimum wage for an apprentice aged 16 to 18 and those aged 19 or over who are in their first year of their apprenticeship is £3.70 per hour (April 2018), although many employers prefer to pay more. All other apprentices are entitled to the national minimum wage for their age. Employers are no longer be required to pay employer National Insurance contributions for apprentices under the age of 25 on earnings up to the upper earnings limit. I’m interested in apprenticeship training, how do I find out more? If you are looking to take on a new apprentice, please contact our funding team who will advise you on the process of advertising your vacancy and assist you to recruit your apprentice. As part of the recruitment process, we can filter applications for you and even arrange your interviews if you wish! If you are looking to train existing members of staff, your employee will need to select the apprenticeship they are interested in and apply online. If you would like to speak to anyone regarding apprenticeship training, please contact us – we will be happy to talk you through your options.